For investors who are looking for exposure to Europe as a whole or some of the countries within the region, there are three ways to use foreign ETFs to accomplish that goal – Broad Europe ETFs, Europe country-specific ETFs or Foreign Currency ETFs. These funds focus on the region as a whole. They include companies located in multiple European countries or companies located in one country that may or may not conduct business in multiple European countries. And they can differ by market capitalization or sector. If you are looking to invest in an individual country in Europe, then there are ETFs to achieve that goal as well. These are specific ETFs for France, Germany, Italy Spain and the UK. And if you want to see individual ETFs for countries around the world, then feel free to peruse my list of country ETFs. A third option for investing in Europe is utilizing foreign currency ETFs that focus on currencies like the Euro and the British Pound. 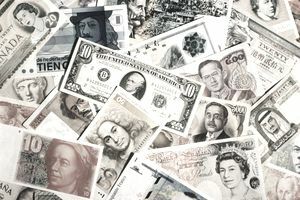 Or to see a list of all funds that focus on foreign currencies, look no further than my list of foreign currency ETFs. So if you’re looking to invest in Europe or countries within, you have several options. And make sure you conduct thorough research before including any of these funds in your investing strategy.